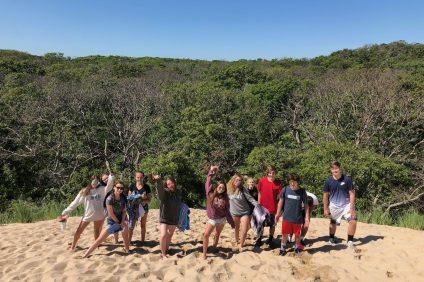 Adventure Trips offers 1 and 2 week overnight trips during the summer months for youth ages 12-16. We offer many different trips with a variety of focuses, ranging from surfing to scuba diving to chilling on Cape Cod. Learn more about the specific trips we offer here. You can choose the trip with activities that interest you the most! All of our trips provide participants the opportunity the step outside their comfort zones, gain confidence, and make lifelong friendships in a caring and supportive environment. Our trips are led by mature, experienced, and highly trained staff who lead with a focus on safety, fun, and community. Our Adventure Trips sessions are 1 or 2 weeks long, with sessions running Sunday-Friday. Most participants choose to stay for multiple sessions. Campers can link Adventure Trips sessions together and stay through the weekend by registering for the Mini-Adventure Weekend. Our trip offerings vary week to week. 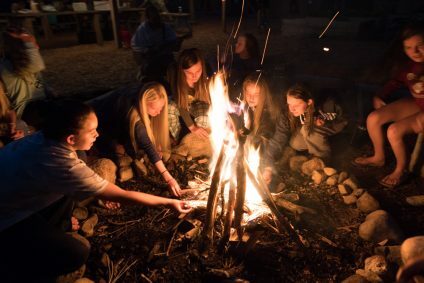 This allows campers to choose a variety of adventures if they want to attend Adventure Trips for several weeks. We allow friend requests (1 mutual request per camper), but many of our campers come to camp alone and enjoy the opportunity to form new friendships with the other campers! All programs are co‐ed and open to youth ages 12-16. Some trips have specific age requirements, which can be found here. We offer small group sizes. Each trip has a female and a male trip leader, along with 6-12 participants.